Wow, have I been doing a lot of farm tours the past little while! I want to see as much as I can before the end of the season, so have been taking advantage of every opportunity. Here are a few of the not-so-urban farms I have visited in the last while. 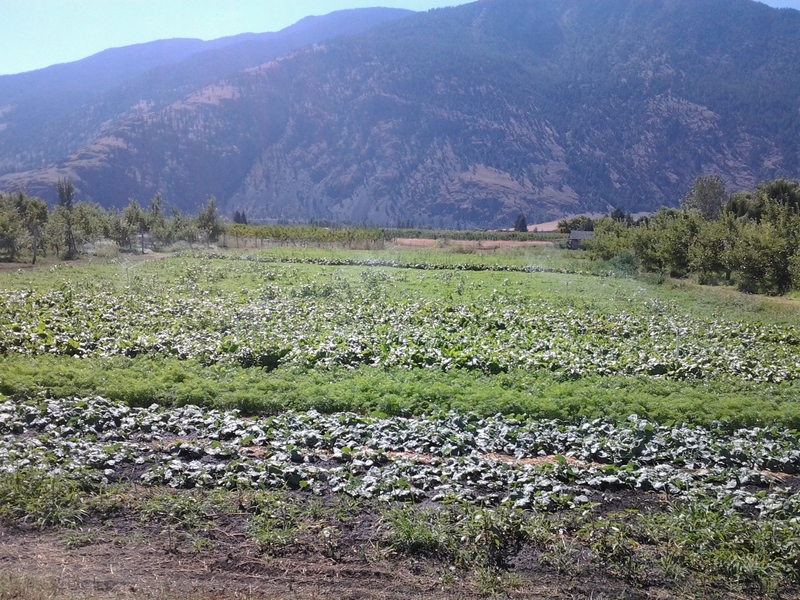 Klippers Organics is located in Cawston, in the Okanagan. We visited at the end of August, and the heat was incredible, at least for my west coast self. With that heat, though, comes some definite growing benefits, with field tomatoes going crazy and endless crates of peaches and plums. One of the owners, Annamarie, was kind enough to share hours of her knowledge and experience, while we helped peel and pit blanched peaches, to be frozen for later jamming. I have long been familiar with the Klippers booth at the Vancouver farmers’ markets, which is always in a prominent location, and always features a wide variety of items long after most of the coastal farms have finished for the season. They farm about 40 acres of mixed vegetables and perennial orchards. Our tour of the farm showed how they have grown over the years, expanding with owned and leased land. They work with about 9 apprentices for the season, who live at the farm, a great opportunity to get a lot of hands-on experience and responsibility. 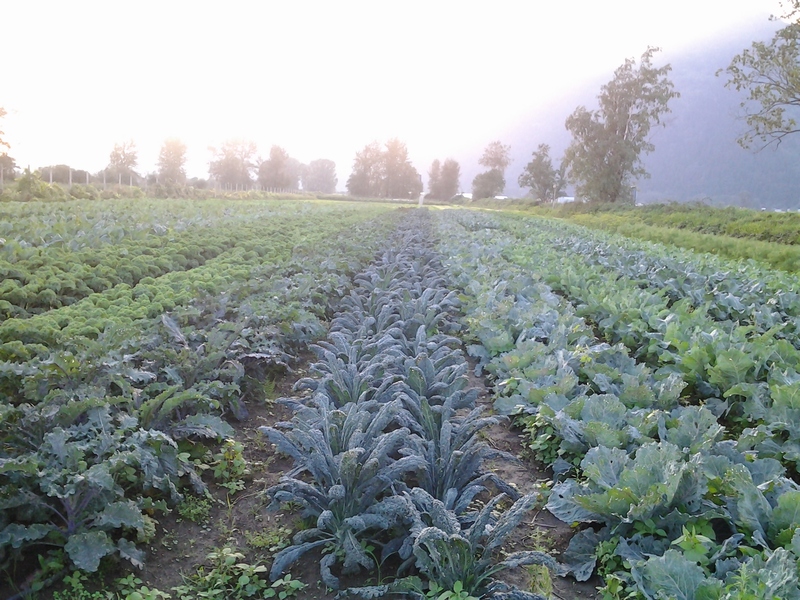 For another Young Agrarians tour and potluck, I went to Crisp Organics, an 11 acre farm in Abbotsford that grows year round, with a large abundance of the west coast-friendly brassicas like kale. 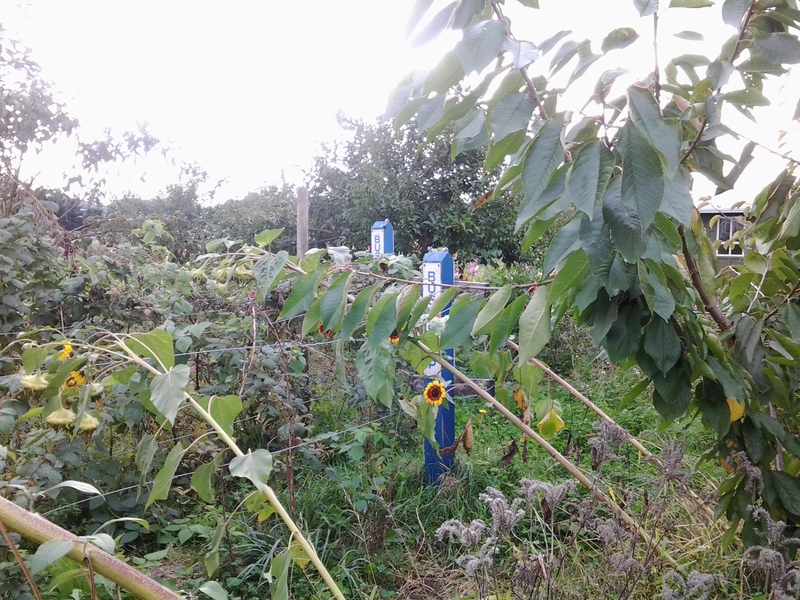 Two hoophouses grow tomatoes and seedlings, and the rest of the fields are rows of mixed organic vegetable crops. Andrew toured us around, and described how he has made this piece of land very successful in just 4 years. His success seems to be in abundance, and intensive planning to have crops throughout the year. Many of his leaves seemed to have been battling with hungry critters (very holey), but there was still a great variety of market quality produce. One of my favourite parts of visiting Crisp was the opportunity to camp overnight and get up early to walk around the mist-covered fields. I look forward to the day when I live on a farm and get to do this more often! I met Doug and Gemma, who farm Zaklan Heritage Farm, at the Crisp tour, and wanted to make a point to go see their farm. 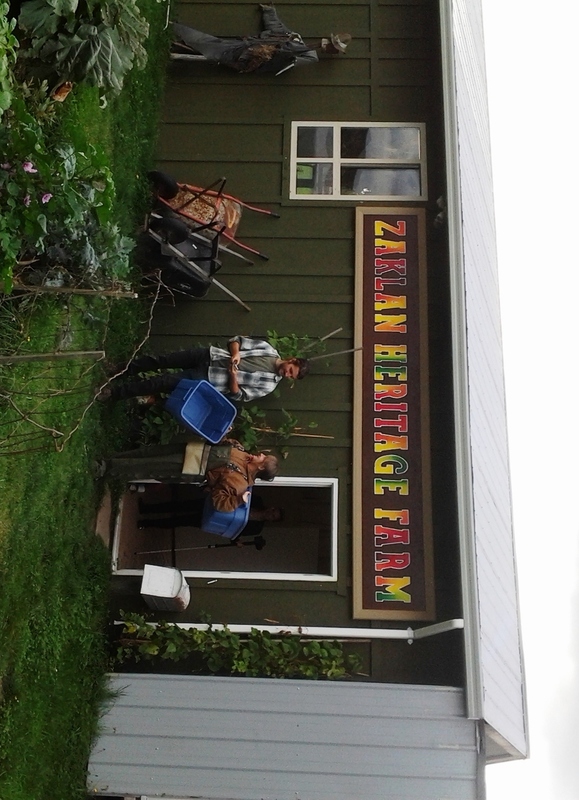 They cultivate 1.5 acres within the 8 acres of Zaklan family land, with mixed organic vegetables and 99 laying hens. The land has been in the Zaklan family since 1928, and has kept its farmland integrity, completely surrounded by Surrey suburban houses. This is the second season that Doug and Gemma have been farming the land, and they are expanding the amount of land they grow on each year. With the influence of their UBC farm training apparent, they grow mixed vegetables, and sell at the Surrey farmer’s market and through a CSA. These two are great role models for people like me, trying to see what it would be like to run a small-scale mixed organic farm. I enjoyed the opportunity to see them at work, tour their farm, and discuss things like organic certification, business planning, and the future of farming, while pulling out tomato plants in their hoophouse.